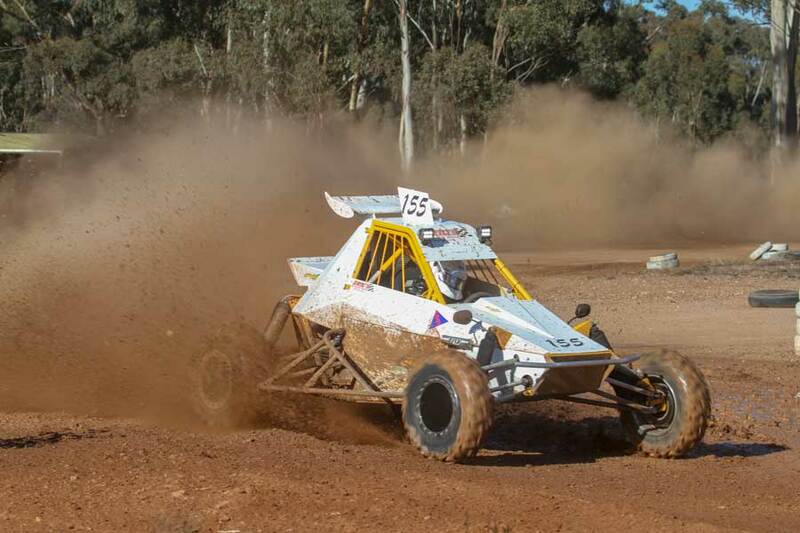 The upcoming Rainbow Desert Enduro sees the second and final round of the 2018 CAMS Victorian Off Road Championship being contested, unfortunately only 6 teams are eligible for the Championship after the first round at Bagshot in early July. However, the low numbers doesn’t mean the battle for outright and class honours isn’t on in earnest, with only 60 points separating the six for the overall Drivers Championship. Currently leading the Championship is Eric Schlifelner in his Hayabusa powered Saber closely followed by David Davis also in a Saber; both of these competitors are also leading ProLite class. Sitting in third place and the only tin top in the field is Craig Button in Extreme 2WD class ahead of fourth placed and the first in Super 1650 of Nigel Pendlebury. 10 points separate first and second in Super 1650 class with Outright Holt in second place and fifth outright. The only other eligible competitor is Alan Dixon in his ProLite. A field of four ProLites are currently entered in for the Rainbow Desert Enduro for the CAMS Victorian Off Road Championship section and three of them are contenders for this years Championship; it will be on from the start of prologue. Track conditions should favour Alan Dixon’s car however don’t ever count out the extremely quick Eric Schlifelner or the consistent David Davis. Craig Button only needs to take the green flag to win in class, however knowing Craig he will be hoping luck falls his way and possibly win the overall. Super 1650 is going to be a battle to the end between Nigel and Ken, however another four Super 1650’s have entered Rainbow so we will have to wait till Sunday to see the winner. In the race for the Navigators title, it’s a four horse race with Adam Button currently leading from Brock Pendlebury, Jeremy Holt and Johnny O’Conner rounding out the four. Come Sunday afternoon who will be crowned 2018 CAMS Victorian Off Road Champion??? ?